Enjoy your favourite Tandy Color Computer games. We have put together a collection of 108 Tandy Color Computer roms, which you can download for free. 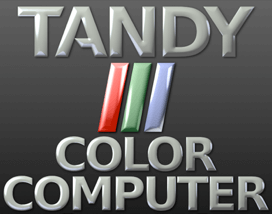 Using Tandy Color Computer emulator run your favourite games on your PC, Mac, iPhone or Android device. You can sort rom games by genre or region. Our collection includes such best Tandy Color Computer ROM games as: Dungeons Of Daggorath (1982) (26-3093) (DynaMicro) .ccc,	Color Forth (1981) (26-xxxx) (Microworks) .ccc,	A Mazing World Of Malcom Mortar (1987) (26-3160) (ZCT Systems) [a1].ccc,	Arkanoid (1987) (26-3043) (Taito) [b1].ccc,	Tetris (1987) (26-3163) (Greg Zumwalt).ccc and many others.